No matter what, there is always one item my closet seems to lack: easy tops to thrown on for a night out. Even when cleaning out my closet, I am rarely getting rid of dressier tops because I barely have any to give away! In winter, I usually buy one fresh top for the holiday season. This year actually two-one velvet and the other sequin! Yet come January, I don’t feel like putting these back on and I would rather have something a little less fussy to wear out. If I look at my calendar over the next few months, it is actually pretty full. Birthdays to celebrate, the Super Bowl, Valentine’s Day, etc. So at the top of shopping my list is finding a couple of tops that work well into my slimmed down wardrobe. Tops that look great with a pair of denim, boots and a Gucci belt. 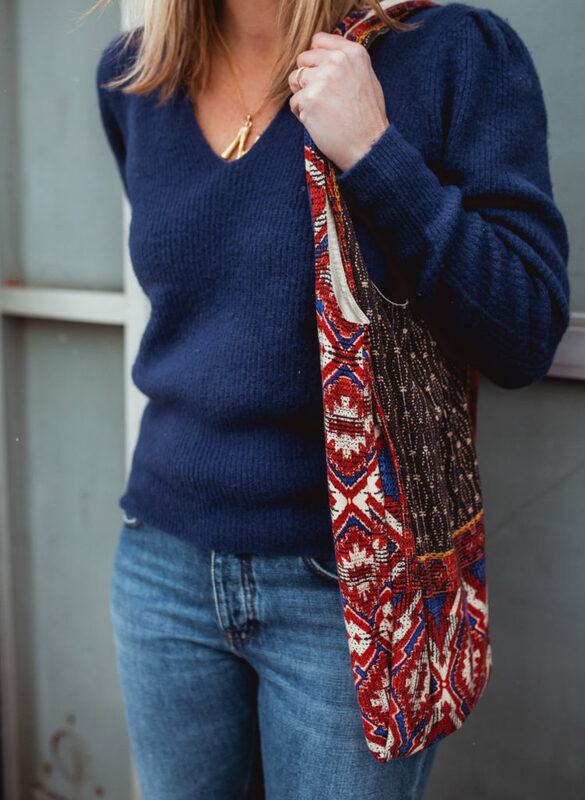 I am searching for easy and comfortable tops to wear out this winter. While I usually gravitate towards fun prints for going out, I realize they will probably have a shorter shelf life than a solid. 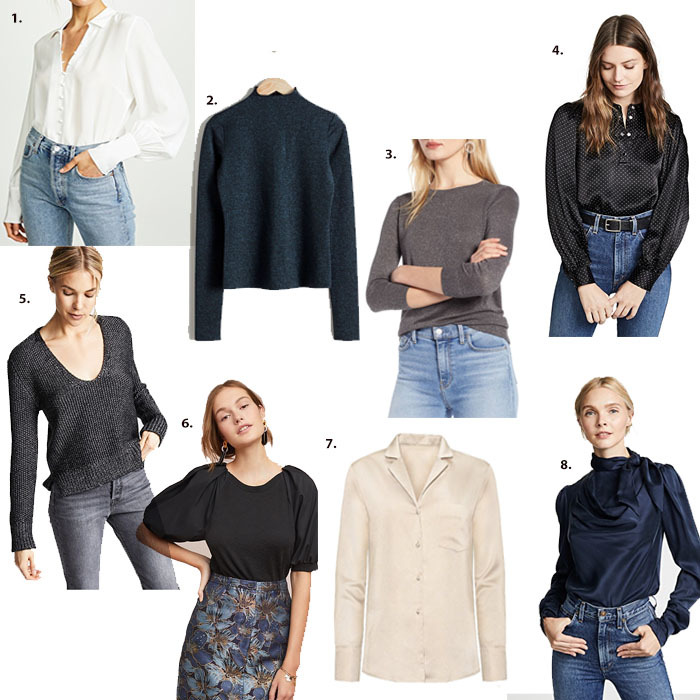 In keeping in line with a capsule wardrobe concept, I am trying to find great solids that have some interest to them-a puffed sleeve, pretty button details, a little shimmer-yet have the ability to work well in the closet for longer than one season. I also try to paint the picture in my head that just about any top can be dressed up even further with great accessories-a statement necklace or earrings, a stand-out clutch or a killer pair of boots. 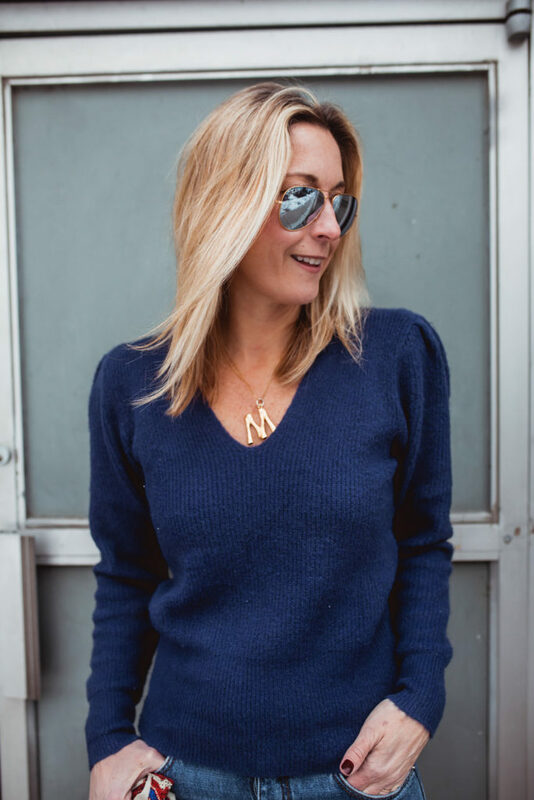 So with that said, I have rounded up the tops I am loving for wearing out this winter below!